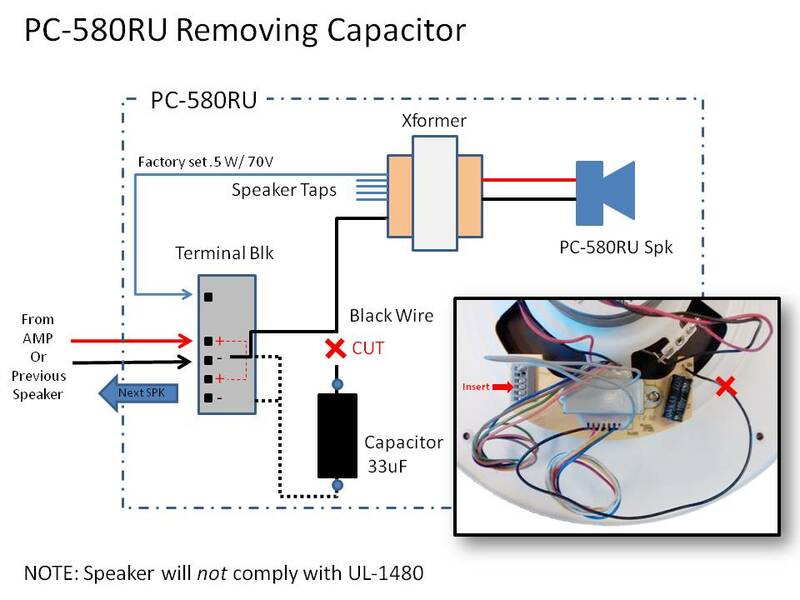 When using the PC-580RU as a talk-back speaker for some intercoms, it may be necessary to remove the DC blocking capacitor. Some intercom systems are sensitive to the capacitive load that the PC-580RU presents to the circuit. This capacitor is required for Fire Signaling use and removal of the capacitor will void UL-1480 compliance. Simply cut the black wire and insert it in the negative terminal of the grey terminal block. Note: If the capacitor is removed, the speaker will not comply with UL-1480.